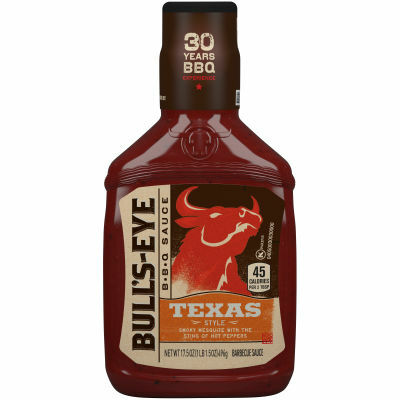 Tune Your Taste Buds with Kansas Barbeque Sauce This time Bull's Eye comes up with most scrumptious, juicy and tempting barbeque sauce. Fresh grinded spices combine with Hickory and lick of molasses creates delectable savory aroma. Make your precious moment memorable. Either Topper or Dipper!! The mighty bottle have delicious and tangy magical surprise inside, Marinate with before you cook to tenderize the meat or add topping to your steaks, Treat the whole family by serving this sauce as a table top condiment, either as a topping or as a dipper. Kraft's perfect smoky and zesty BBQ sauce makes any food delicious to the last bite. Serving size 2 Tbsp (35g).